Sounds more like a Mattman & Robin track with a drop. There is a new song on the EP now. I did the mix/master on this track. Had a blast working with Zedd & Grey! It should be out as a single release in the next couple of days since the label mixed up the iTunes/Spotify posting. The EP is re-released today with the new version of Rock Bottom with DNCE and the Zedd featured track. This song is fantastic. What a jam. Just wish it had a proper bridge. Verses are remind me "I let you set the pace" melody (Love Me Like You Do). This is the type of song that I expected instead of the other 2 big comebacks lol. Did Wiki messed up with the producers? Mattman & Robin are listed as producers, and Zedd apparently didn't write the song. BTW, who are "Grey"? Two things: where did you get the credits? According to the iTunes file, Mattman & Robin doesn't appear. And the song is listed as "Hailee Steinfeld & Grey feat. 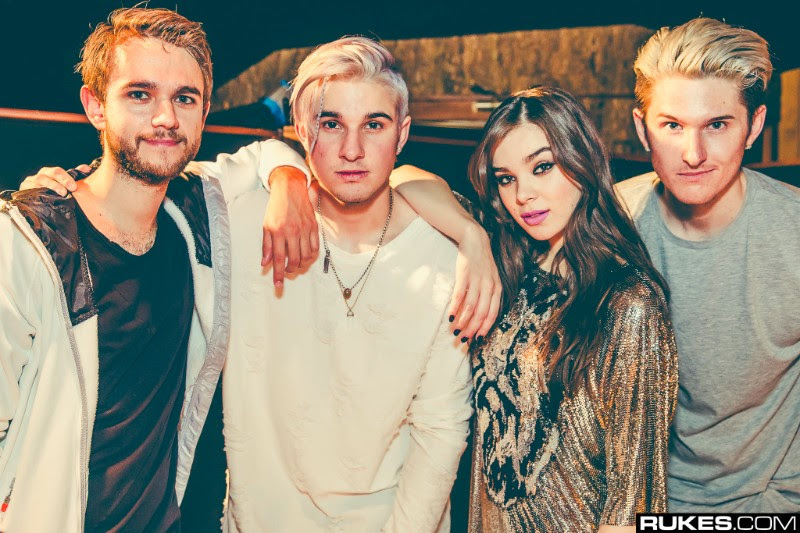 Zedd". I said it right there, it was yesterday in Haiz EP article, now it is fixed but I still don't know who Grey are lol. Grey is a duo, they're brothers. They've been dropping some great remixes the past year, and are also behind "Candyman". Michael (ex. SIRIS) and Kyle (Kyle Tree, ex. Singularity) Trewartha (TREE-wor-thuh), they are australian, 1992-1993. How did you get this job to master/mix the song? Full credits for the new song. Probably the best songs are saved for the album. Asia Whiteacre is writing some great stuff lately, she co wrote Astrid S' most recent single as well. Well, no one posted about this but Hailee is featured in a couple of singles: Machine Gun Kelly's last single, Kato & Sigala's Show Me Love and Digital Farm Animals' Digital Love. The last one sounds a bit like The Chainsmokers.